Building and resetting the definition of culture: According to Reputation.com CEO Michael Fertik, these are just two of the main purposes of a chief people officer. Now you may be thinking, that’s just a fancy way to say the head of human resources, but as Fertik points out in his LinkedIn post, you may be wrong. As CEO of the world’s leading provider of online reputation products and services, Fertik decided it was not only time to put the “human” back into the HR department, but also as the foundation of a healthy company culture. And just how did he go about doing this? Well, he created a role specifically designed “for the people”—and hired a CPO veteran to fill it. 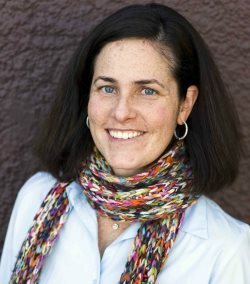 Meet Colleen McCreary, former CPO of social gaming services provider Zynga. McCreary knows a thing or two about people and the importance of building your company’s culture, as she helped Zynga grow from 130 employees to 3,000 in just three years. 1. You were recently hired as Reputation.com’s first-ever Chief People Officer. Can you explain what your new role entails and how significant such a position is for a company’s culture? I was excited and inspired to partner with Michael, Reputation’s CEO, after a lengthy set of frank conversations over several months regarding his vision around building the company, meeting his team and board members, and their collective desire to have a strong voice at the table on how you can use your people resources to create larger enterprise value. My role is to be part of the leadership discussion on who we are, who we want to be, and execute on the path to get there. We’re going through a big transition from a traditional start-up to a larger-growth company with multiple product lines, including a strong focus on our enterprise offering, more offices, and the challenges that go with that. This is the most fun time you can be at a company from an impact standpoint. The people challenges coming with scaling are immense and often the no. 1 limitation of a company’s ability to get to the next level. 2. Why should companies even focus on culture when trying to attract and retain talent? My belief is culture is a misunderstood term. You have to spend time defining what culture is, and more specifically what your culture is (or what you want it to be). Culture is how individuals connect the work they do every day to the mission of the company. Do they know if what they’re doing matters? Does the company care about the work that they’re doing? Do they understand and feel empowered to get that work done? There are many approaches to helping employees answer these questions. If you can’t, those people will leave and find a place where someone else can. 3. You’re skilled at building job happiness and culture from the inside out. How can companies adopt this inside-out approach? My experience tells me that happiness is a dangerous term to use. Happiness is defined differently by individuals, and in most cases, trying to create a culture of “happy employees” might not lead to the behaviors that create the most value for your customers or shareholders. Companies need to figure out what is ultimately most important to their customers and shareholders – and find ways to establish buy-in from employees to support those things. If your employees believe they are on a mission, and the systems you set up consistently reinforce that through all levels (recognition, rewards, actions, communications), they are more likely to really commit to their day-to-day work and want to see that mission through. Certainly, lifestyle perks can make work more comfortable, but they’re not a substitute for career progression, interesting work, and support to get work done. 4. Reputation.com’s CEO Michael Fertik writes that a CPO focuses on the “culture trifecta: people, value and capacity.” Can you explain why these are central to an organization’s culture (and ultimate success)? Many companies pay a lot of lip service to the notion of “people as our number-one asset” and yet pay very little attention to what that means beyond labor costs and succession planning. Many HR people get the negative backlash of focusing too often in conversations on employee happiness or legal rules and restrictions. A Chief People Officer should view people as the primary creators of enterprise value – and what systems are in place to make sure your people/talent are able to spend their time in that value creation role. It also means looking at your people from a business lens. We might not want to treat everyone the same. We may need to find creative solutions to address gaps in our product line via our talent, and we probably have to keep looking introspectively, like any good engineer, to see if there’s a new way of doing things before someone outside our organization does it for us (by luring our best folks away). A good HR person needs to eat her own dog food and practice what she preaches. This includes our own career development and progression. I had the luxury of knowing what kind of company gave me the most satisfaction (startups in their growth stage), what type of CEO would be most exciting to partner with (usually entrepreneur-founders), a product or mission that excited me, and a team of great people (translation: “No one who would make me want to vomit when I sat next to them in a meeting”).